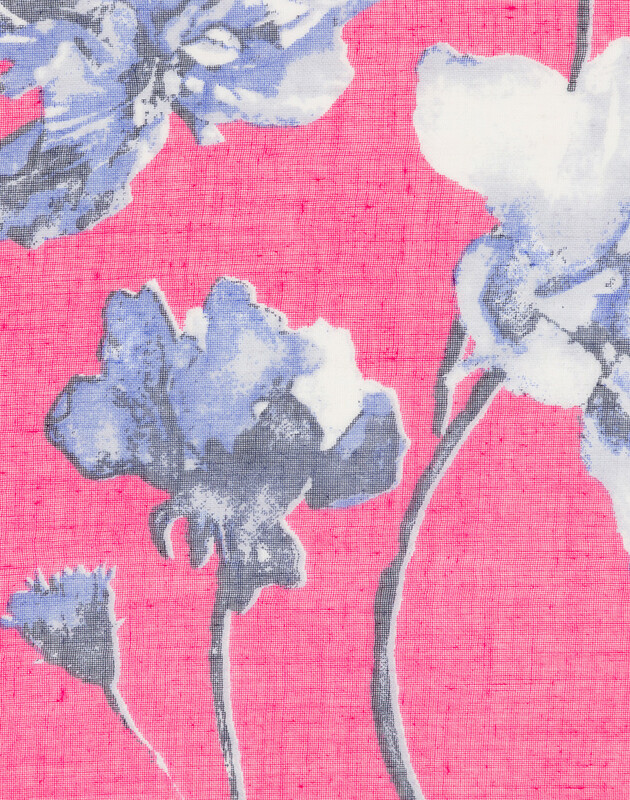 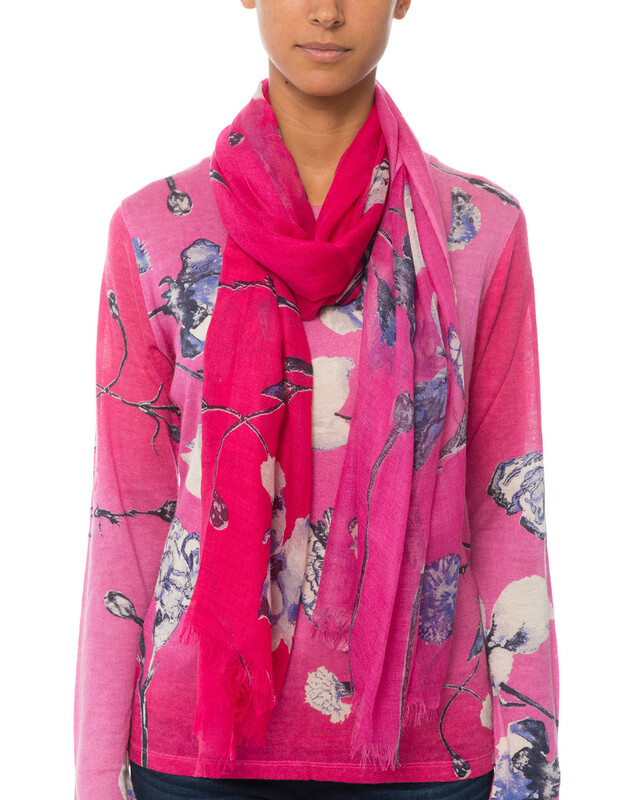 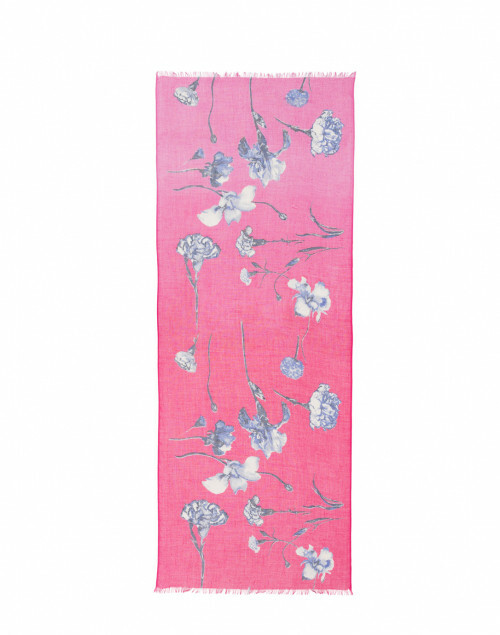 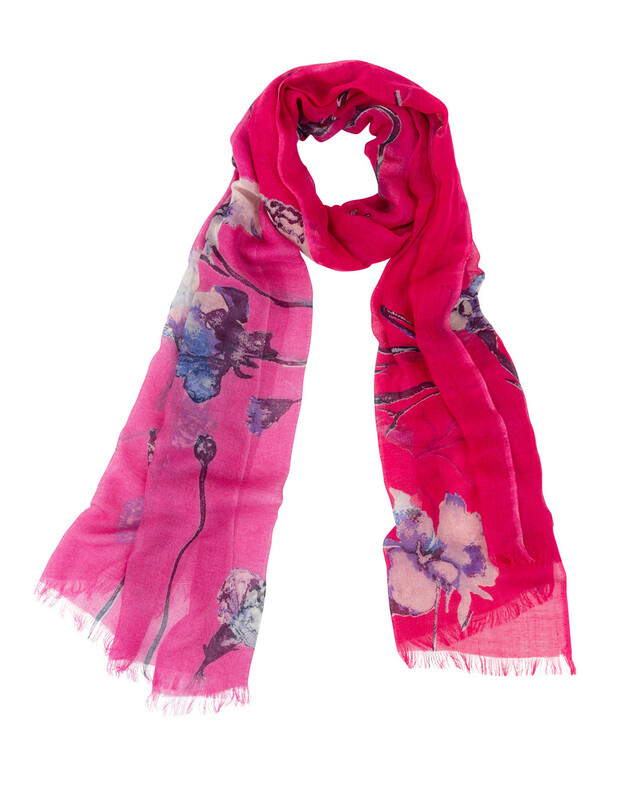 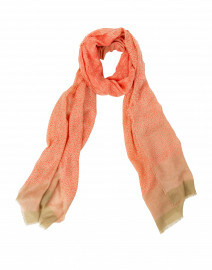 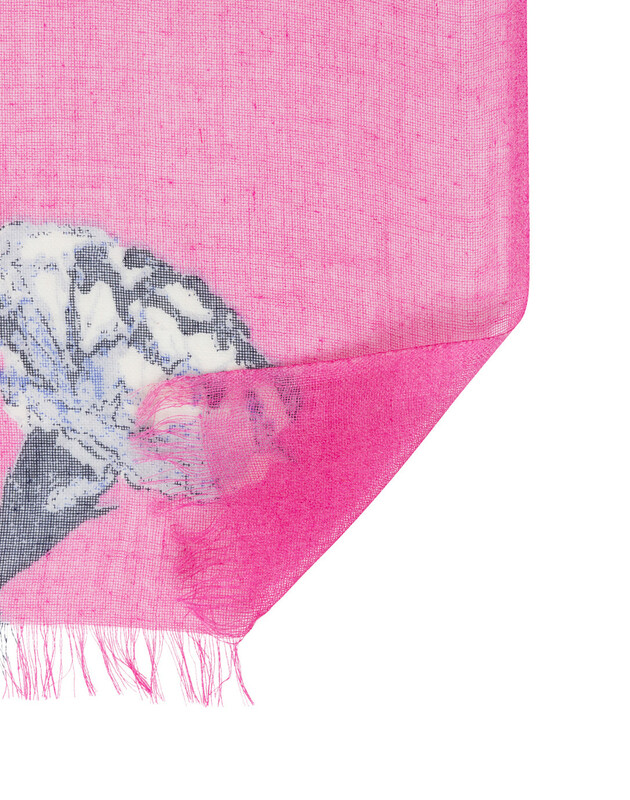 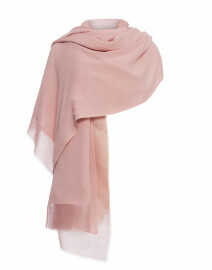 Bring a flash of color to your weekend wardrobe with this fuchsia ombre floral scarf from Pashma. 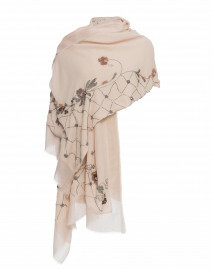 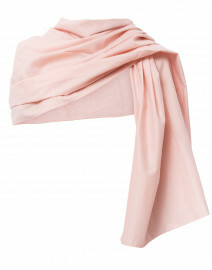 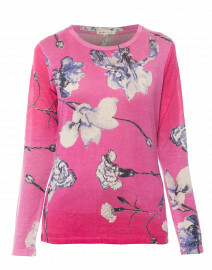 Crafted from soft and lightweight cashmere and silk blend, it has a delicate floral print and an eyelash fringe trim. 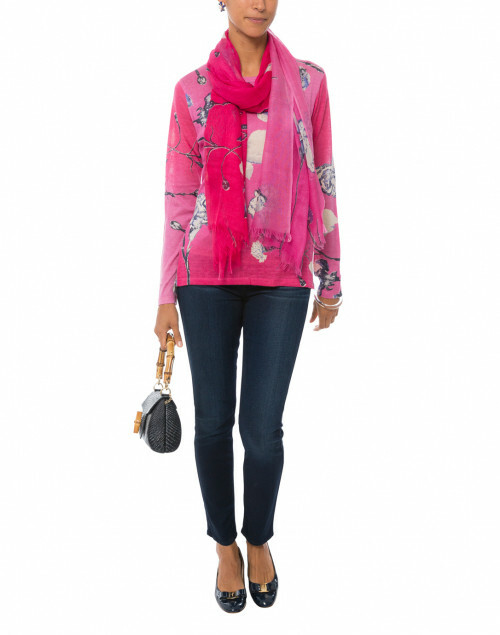 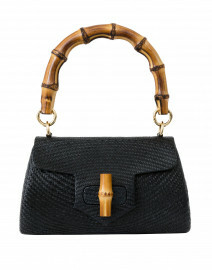 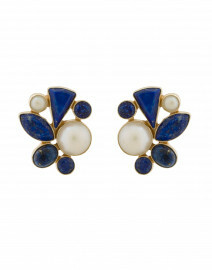 Wear it with a coordinating sweater and slim jeans for a perfectly polished ensemble.